Star Wars! It's arguably the quintessential geek film series and inarguably deserving of the highest audiovisual quality humanly possible. The complete saga is coming to Blu-ray with over 30 hours of special features, and you can pre-order it right now. Epic. 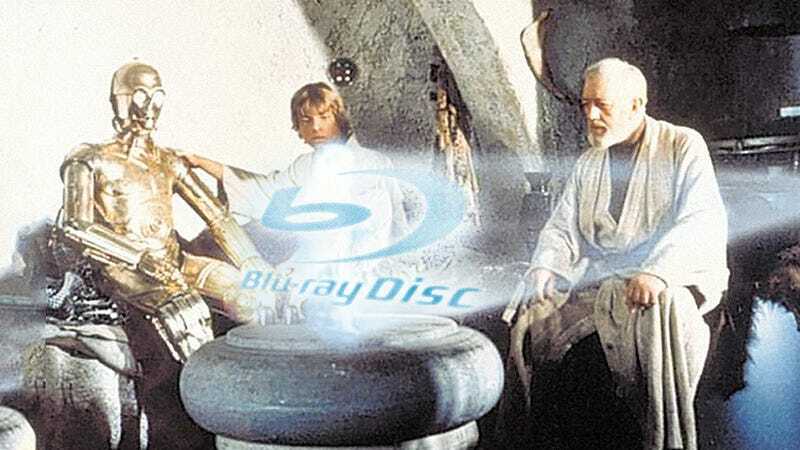 Three Star Wars Blu-ray sets will be available come September: the complete saga—a nine disc set with all six movies—for $140, and a three disc set of either trilogy for $70. If you're a newcomer, I'd strongly advise against just buying the prequels. The big set comes with over 30 hours of special features, including never-before-seen deleted scenes, alternate takes, a look into the Star Wars archive, and more. You can reserve your piece of galactic history today over at Amazon. 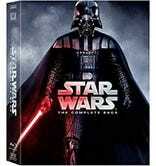 Update: Amazon's got the pre-orders for cheap: $90 for the Complete Saga; $45 for the trilogies. Yes! LAS VEGAS (Jan. 6, 2011) – The most anticipated Blu-ray release ever – the Star Wars™ Saga – emerges from light speed this September 2011. For the first time, all six of George Lucas' epic films (Episodes I-VI) are united in one complete set. Fans worldwide are able to pre-order now with online retailers.